Do you notice enzyme making is kind of like ‘talk of the town’ lately? People are making all kinds of enzyme at home, whether is garbage enzyme, or fruits enzyme. But each of everyone knows that whatever it is, it’s good for the earth and our health. 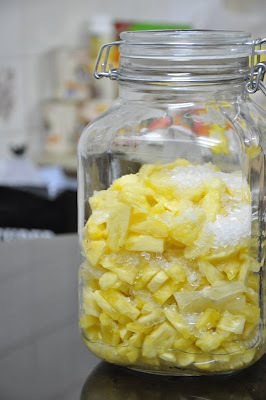 1 week ago, we have 2 ripe pineapples… and since nobody at home eats this, I decided to make pineapple enzyme. Peel the lemon skins, and slice into thin slices. And add on rock sugar. 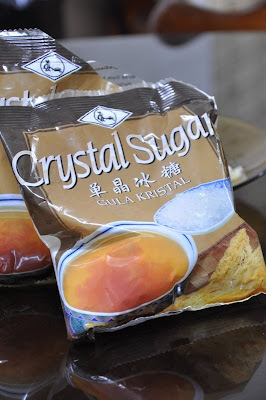 For this case, I bought this crystal tiny sugar from supermarket. 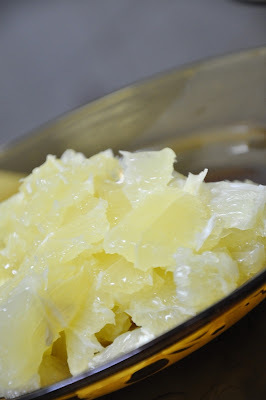 As for what’s the ratio like, seriously I was not taught about the ratio… but 2 medium size of ripe pineapples, I have 3 medium size of lemons and 2 packets of crystal sugar. And I make it layer by layer, for example 1 layer of pineapple, 1 layer of lemon slice and 1 layer of rock sugar. Let it ferment for 15 days, if you see white layer of mold on the surface, that’s fine cuz, those are the live yeast. But on the other hand if you see black dots, it’s advisable to throw away. Cuz, it’s spoil. After 15 days of fermentation, you can harvest it and put in a small bottle for consumption. Best to have it after meal. Enjoy!! I know it's good for health, but just too lazy to make one. I had heard about it for quite sometimes but never try it before. Looking forward to see your result after 15 days. 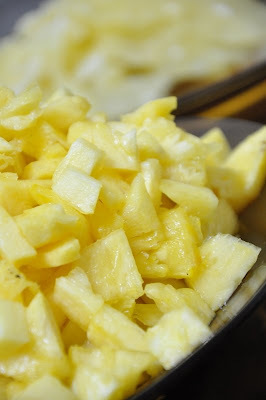 What is the benefit for eating pineapple enzyme? wow I am lloking forward ont he harvesting.... I am also into this lol! cool right, let's share some soon! what are those for anyway? my mother in law makes them and i never asked. some looks a bit yucky. Kind of like making yogurt! Enzyme?? a misnomer here? Would be nice to see the end product! my mum makes them too (not pineapple ones)! but it has a very strong smell lah.